Reading fluency is incredibly important for reading development. 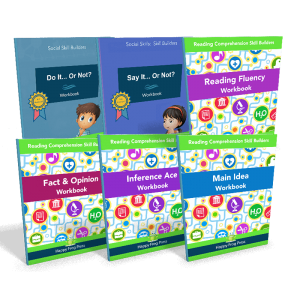 Grab this workbook to improve your child’s reading speed and fluency. Get the PDF here, or print/Kindle on Amazon. 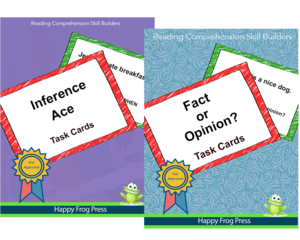 Welcome to the Happy Frog Press Reading Fluency workbook! 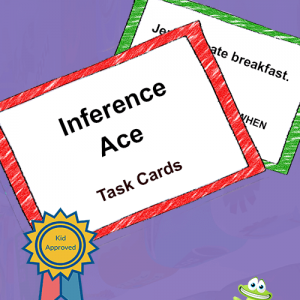 This workbook contains the materials you need to improve your child’s reading fluency. Fluency is incredibly important for reading development. 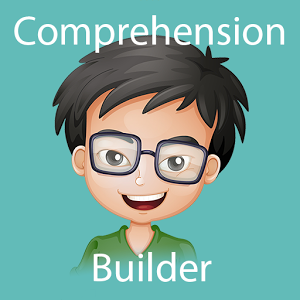 Fluent readers don’t stop and decode each word. They recognize words automatically. This means they can focus on what the words mean. 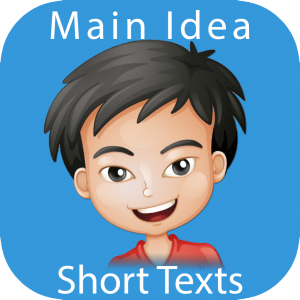 Readers who are not fluent take too long to decode each word and to move on to the next word. All their attention is dedicated to decoding and little is left for comprehension. For this reason, fluency is absolutely key. 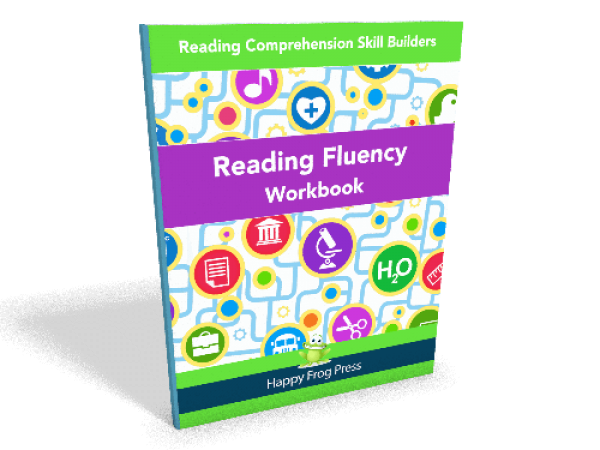 Get this workbook and get your child’s reading fluency on track today. The workbook provides 25 texts for fluency practice, along with instructions for your child’s daily practice. 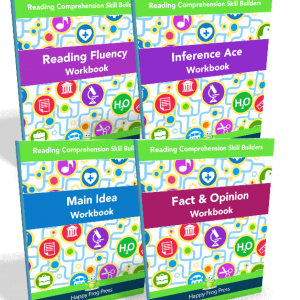 Our workbooks are designed for learners who are working below grade level. 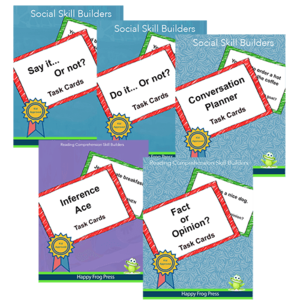 Each workbook develops key skills in small, incremental steps that build success for struggling learners, such as those with ASD, ADHD and similar. We understand struggling learners, so our workbooks also have large print, lots of whitespaces and minimal distractions.